1. 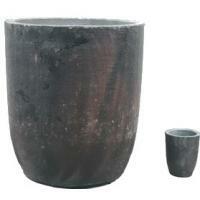 High purity machined graphite crucible, which is machined according to customers' drawing from large graphite blocks. it is widely used in melting of glass, precious metals, rare earth, zinc, silver, gold, ceramics etc. 2. 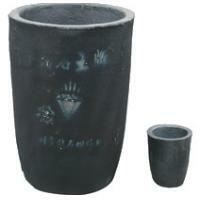 Graphite clay crucible.This kind of graphite crucible is pressed in mold of mixtures of graphite powder and clay. 3. Graphite SiC crucible. 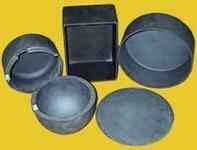 This kind of crucible is isostatic pressed in mold of mixtures of graphite powder and Silicon carbide. 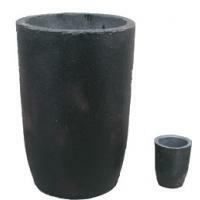 The second and third kinds crucibles are widely used in melting iron, steel, copper, aluminum, tin, zinc, silver and gold etc. If you are not sure which kind graphite crucible is suitable, we will be glad to offer you suggestions according to our many years of experience in metal casting industry. Customized designing and production (machining) available. grade of graphite material for machining graphite mold for you, in order to reach the best effect with lowest cost. HanDan ChaoYo Metallurgical Materials Co., Ltd is a professional company that produces carbon products. Located in Chinese Northern Carbon Manufacture Base in Chengan County, Hebei Province, we enjoy convenient transportation. Chaoyo is the biggest enterprise there.